Back in the late ’90s, web designers used tables for page layout, even when they wanted to place a border around text. 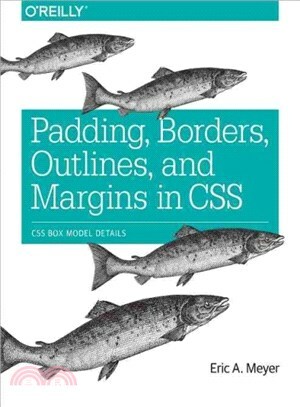 That changed when the authors of CSS enabled designers to specifically define borders, as well as padding, outlines, and margins for any and every element on a page. This this practical guide shows you how to use these properties efficiently to hone the design of your web pages. Short and sweet, this short book is an excerpt from the upcoming fourth edition ofCSS: The Definitive Guide. When you purchase either the print or the ebook edition ofPadding, Borders, Outlines, and Margins in CSS, you’ll receive a discount on the entireDefinitive Guide once it’s released. Why wait? Learn how to bring life to your web pages now.